We are happy to turn and return! We are financing another order of our original product the Virzoom Controller which is on back order again after selling through the Kickfurther units. This co-op will cover a very similar amount of inventory and we are projecting a very similar timeline. We've already sold all the inventory from our previous co-op, and although we are entitled to thirty-day terms on our payout, we will apply funds from this raise that would have been reimbursed to us for supplier costs we have paid to make our final payout of <$3000. The inventory will go through the same high-end manufacturing process that we've relied on our previous co-ops and be ready for sale at the same third-party facility in Texas that provided reporting on our previous co-op on approximately March 15th. From there we will continue to sell through our various channels, primarily our own website. We expect that payouts on this co-op will be front-loaded as there are a number of backorders that will ship out as soon as the inventory becomes available. Then we expect a more steady stream similar to our previous co-op. As always Virzoom will carefully and respectfully adhere to the Kickfurther pay as you sell model. Please see the updated Kickfurther Timeline tab to see our sales period and invoice schedule. VirZOOM creates engaging VR experiences powered by you. Pedal your VirZOOM Controller to propel yourself through endlessly exciting VR games. Power a horse in a race, a tank in battle, a flying pegasus through the forests. Patent pending software controls keep you feeling good. A workout without the work. vSports is real physical competition in virtual worlds based on VirZOOM's inexpensive and versatile patent-pending virtual reality exercise game platform. With partners Fitbit, Life Fitness, HTC, and AMD only VirZOOM can bring exciting physical and immersive online virtual game competition to millions of consumers all over the world. 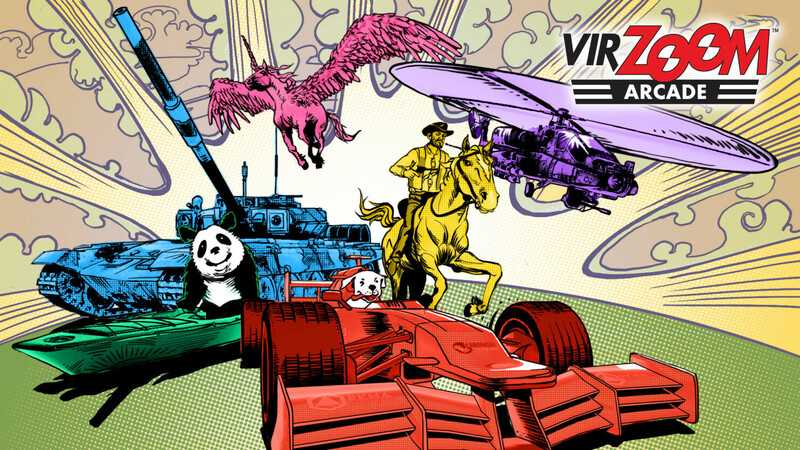 Players of all ages engage in thrilling competitive virtual challenges to consumers including cycling, F1 racing, and tank battles all powered by the player. Players can engage in real time online challenges or engage at a later time for high score. VirZOOM statistics show customers do not get bored with vSports the way they do with other indoor equipment-based exercise. The play VirZOOM vSports for longer periods more frequently over time. In order to ensure our multiple resellers have adequate inventory on hand to meet demand, we are increasing our production levels and came to the Kickfurther community for support. We are excited to bring the Kickfurther community into our future of Gaming & Fitness! final pay out was 2 months late, but company keep us informed so that make up for it. Great job - was wrong to doubt you! On time payments and excellent communication. Quite thrilled. will definitely contribute to this company. A few weeks behind on the payments but, paid in full and good communication. Slightly late payout, but good communication. Somewhat delayed payout, but good communication throughout. In contrast to prior co-ops, communication was very poor, and VirZOOM intentionally delayed final full payment on the co-op by somewhat over 1.5 months despite having sold co-op inventory. There was no bonus payment to make up for the delay. Given VirZOOM's lack of attention to this co-op, I cannot recommend investing in their future co-ops. How would you rate VirZOOM Inc.?